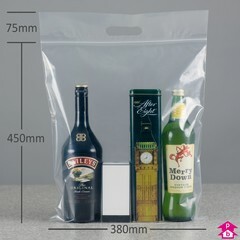 Large see through 90 micron grip seal bag with punched out carrier handle. 380 mm wide x 450 mm long, plus 75mm above the gripseal. 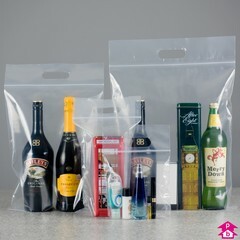 Great for carrying and protecting larger items as well as showing them off. Boxed in 300's.